This article is about the town. For the village, see Southampton (village), New York. From 1644, the colonists established an organised whale fishery, significant in the history of whaling as the first in New England. They chased pilot whales ("blackfish") onto the shelving beaches for slaughter, a sort of dolphin drive hunting. They also processed drift whales they found on shore. They observed the Native Americans' hunting techniques, improved on their weapons and boats, and then went out to ocean hunting. Southampton has 47 public and private cemeteries, not including Shinnecock Hills Golf Club, which is claimed as an Indian burial ground that is no longer in active use. Southampton is named after the port city of Southampton in Hampshire, England. The Town of Southampton operates an official historical web site. The site shows the locations of over 100 points of interest, historic markers, and historic districts as well as over 1500 photos. In 2005 the Shinnecock nation filed a lawsuit against the state seeking the return of 3,500 acres (14 km²) in Southampton located near the tribe’s reservation, and billions of dollars in reparations for damages suffered by colonial land grabs. The disputed property includes the Shinnecock Hills Golf Club, which Shinnecock say is the location of tribe burial grounds. The tribe has challenged the state legislatures' approval of an 1859 sale of the 3,500 acres of tribal land. This broke the terms of a 1,000-year-lease signed by Southampton colonial officials and the tribe in 1703. The suit charges that in 1859, a group of powerful New York investors conspired to break the lease by sending the state Legislature a fraudulent petition from a number of Shinnecock tribal members. Although other tribal members immediately protested that the petition was a forgery, the legislature approved the sale of 3,500 acres (14 km²) of tribal land. The current town supervisor is Jay Schneiderman, a former Independence Party member now a registered Democratic who was elected in November 2015 with 56.34% of the vote and again in November 2017 with 62.3%. According to the United States Census Bureau, the town has a total area of 295.6 square miles (765.6 km²), of which, 138.9 square miles (359.7 km²) of it is land and 156.7 square miles (405.9 km²) of it is water. The total area is 53.02% water. 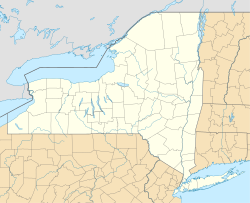 The Town of Southampton contains 7 incorporated villages and 16 unincorporated areas, which are called hamlets in New York state. As of the census of 2000, there were 54,712 people, 21,504 households and 13,805 families residing in the town. The population density was 394.0 people per square mile (152.1/km²). There were 35,836 housing units at an average density of 258.0 per square mile (99.6/km²). The racial makeup of the town was 87.98% White, 6.62% Black or African American, 0.41% Native American, 0.89% Asian, 0.08% Pacific Islander, 2.28% from other races, and 1.73% from two or more races. There were 21,504 households out of which 27.1% had children under the age of 18 living with them, 50.8% were married couples living together, 9.3% had a female householder with no husband present, and 35.8% were non-families. 28.6% of all households were made up of individuals and 12.2% had someone living alone who was 65 years of age or older. The average household size was 2.45 and the average family size was 2.99. In the town, the population was spread out with 21.1% under the age of 18, 7.7% from 18 to 24, 28.5% from 25 to 44, 26.0% from 45 to 64, and 16.6% who were 65 years of age or older. The median age was 40 years. For every 100 females, there were 99.2 males. For every 100 females age 18 and over, there were 97.2 males. The median income for a household in the town was $53,887, and the median income for a family was $65,144. Males had a median income of $47,167 versus $32,054 for females. The per capita income for the town was $31,320. About 5.3% of families and 8.3% of the population were below the poverty line, including 10.2% of those under age 18 and 6.0% of those age 65 or over. In 2016, according to Business Insider, the 11962 zip code encompassing Sagaponack, within Southampton, was listed as the most expensive in the U.S., with a median home sale price of $8.5 million. The Long Island Rail Road's sole line in the Town of Southampton is the Montauk Branch, which includes stations in Speonk, Westhampton, Hampton Bays, Southampton and Bridgehampton. Quogue and Southampton Campus also had their own stations until 1998. The Town of Southampton is served primarily by Suffolk County Transit bus routes, although Hampton Jitney buses are available for trips to and from New York City. The town of Southampton contains the Francis S. Gabreski Airport north of Westhampton, and East Hampton Airport along the Southampton-East Hampton Town Line. The Southampton Heliport can also be found on the east side of the Shinnecock Inlet. The sole ferry in the Town of Southampton takes NY 114 drivers across the Shelter Island Sound between North Haven and Shelter Island. ^ "Exploring Main St. In The Oldest Town In N.Y. By Emily J. Weitz – Dan's Papers – June 1, 2007". danshamptons.com. ^ Clavin, Tom (August 15, 2004). "Southampton Takes A Cemetery Census". New York Times. Retrieved October 16, 2008. The Town of Southampton has completed the first phase of an ambitious census of its 47 public and private cemeteries in an effort to record local history and to deter vandalism. ^ "Southampton NY Historic Places". historic.southamptontownny.gov. ^ "This Tribe Wants to Kick Rich People Out of the Hamptons". vice.com. September 3, 2014. ^ "Hamlets". Town of Southampton. Retrieved September 25, 2013. Wikimedia Commons has media related to Town of Southampton, New York. Wikivoyage has a travel guide for Southampton (New York).